Gifts from the Pirates: "There are no lines in nature, only areas of colour, one against another." 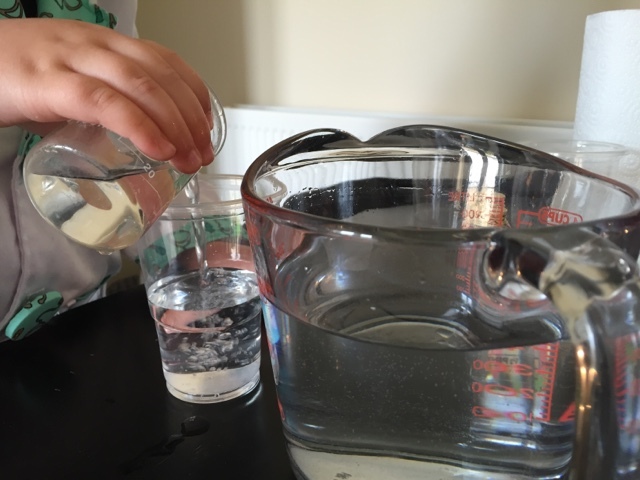 It's science time again and we've been making water walk! No! 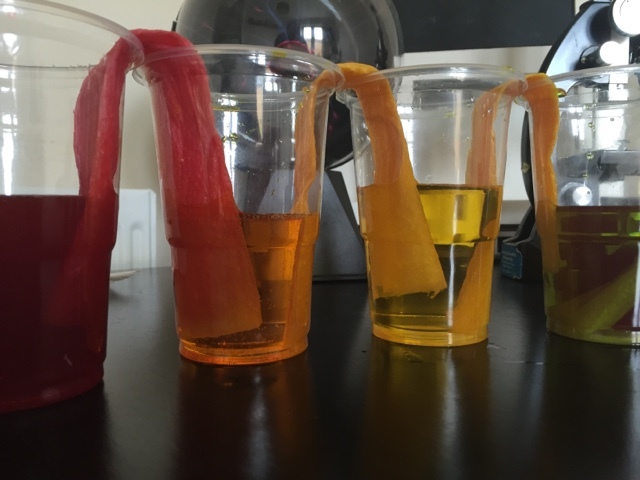 we're not crazy but like myself, my little lab partner is very inquisitive and when we stumbled across this experiment online we knew we had to give it a try. 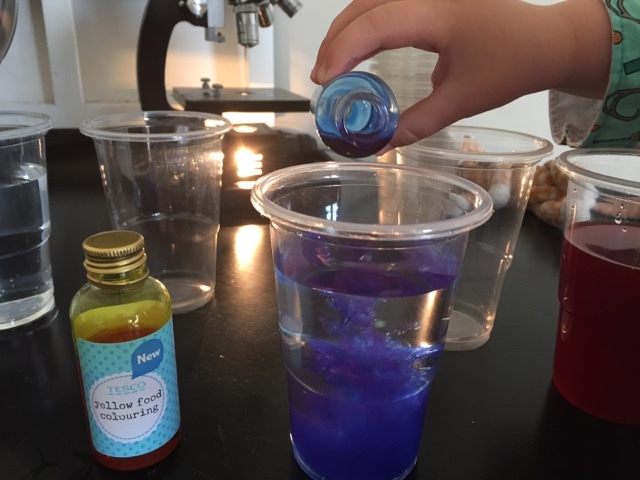 When looking for experiments for a 5-year-old it can be difficult to find the right level of interest. 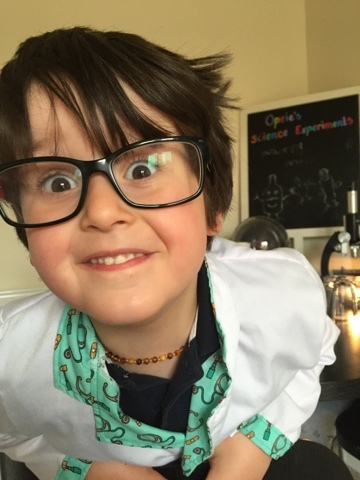 I don't want to set up an experiment that is too simple so his attention sways but I also don't want something that he can't fully understand or get involved in. Walking water is the perfect experiment for a 5-year-old. You start off with an odd number of cups, preferably the same size. 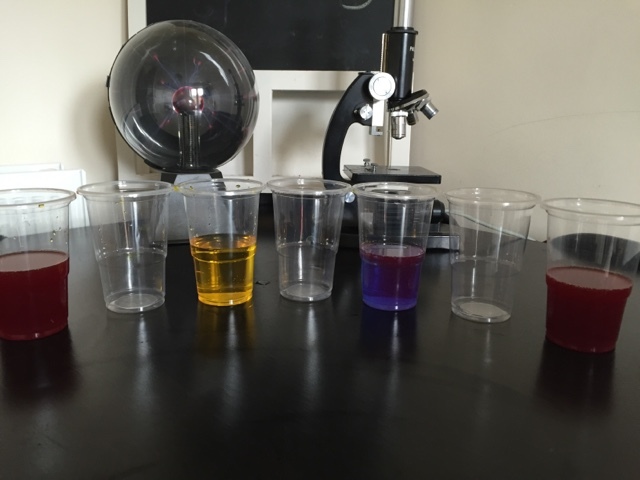 We used 7 but the experiment could work perfectly with 5, even 3 cups depending on the amount of food colourings you have to hand. 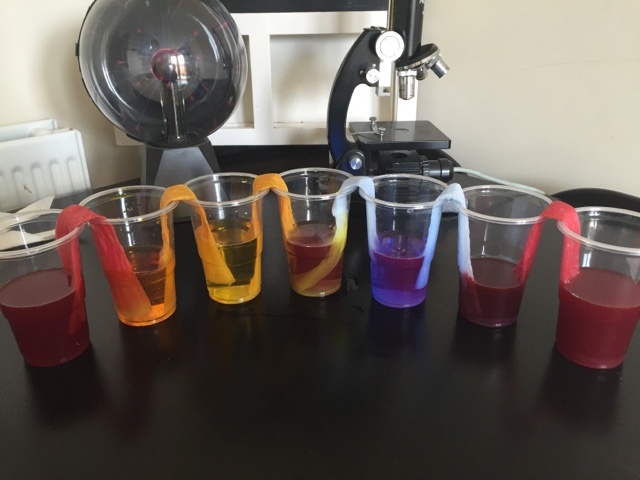 We filled every other cup with water (around 2/3) and then mixed different food colours to the cups with water in (Red - Empty - Yellow - Empty - Blue - Empty - Red). 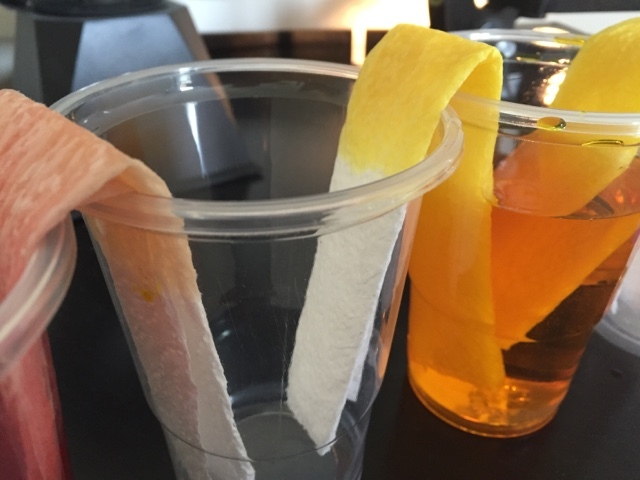 We then took 6 squares of disposable kitchen towel and folded them up, placing one end in the coloured water and the other in the empty cup, forming a chain along the 7. All that was left to do then was to wait, which was probably the most difficult task for Opeie as he wanted the magic to happen there and then. I knew that this was going to be annoying for Opeie so I set up another experiment while we waited, to teach Opeie how to test density (which I will write about very soon). Well... I'm sure you can imagine what happened, no need for me to explain. The experiment turned out amazing! and was another great activity explaining the basics of colour theory! 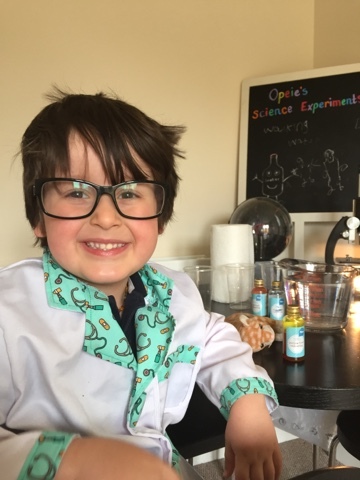 Most importantly though the experiment was a fun and stimulating activity for my ever curious mini lab partner.